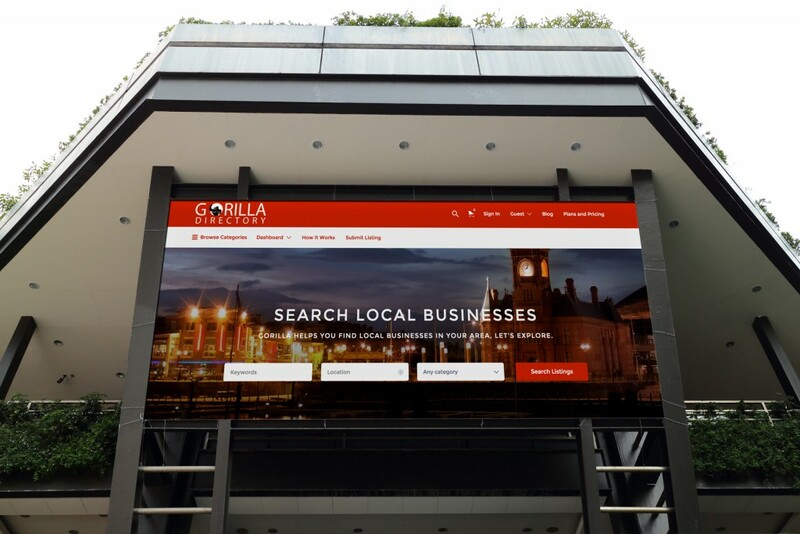 The concept for the Gorilla Directory was born from a team brainstorming meeting, like most of the best things that come out of Gorilla Advertising. The meeting was about how we could best showcase our clients whilst at the same time showcasing them in a way that directly helps them. Cue the birth of the Gorilla Directory. By building a directory we are able to build an online community that will mutually promote and benefit all the businesses that list with us. If you are on the directory then your SEO will rise through Google. You business will be found with more ease. Your business will be seen by more of your customers. You will not just be promoting your business, you will be promoting other local businesses in your area and you will be helping sell your local area as a destination to do business. A restaurant guide and booking service. A messenger app to talk directly with your customers. A discount and coupon micro site to offer discounts to your customers. Advertising boards throughout the site for further awareness. A job dashboard to post your latest vacancies. The final icing on the cake will be a mobile App that works by displaying on your phone local businesses that are in your immediate proximity. We are looking to launch the site on March the 1st. For those of you that would like a sneak peek a soft launch can be seen if you click on the clients section of our website. If you would like to feature on the directory then please do not hesitate to get in touch. All our Gorilla Advertising customers automatically receive 12 months free listing and premium access to all of the features.